Miguel Isaza always involved in the field recordings area delivers an abstract series of compositions under a certain set of rules. Those, a variety of self-imposed working structures lead to this work, Spheres. Spheres is a sound work created as an exploration of silence and resonance. 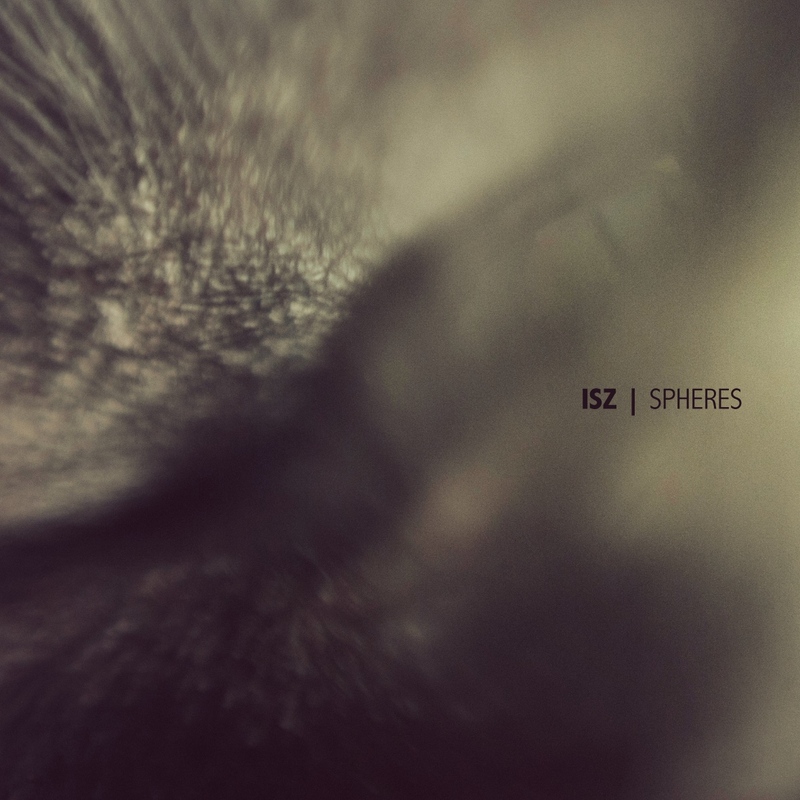 Through granular and spectral processing of field recordings of metallic objects and spaces, Isz creates a new experience from the real soundscape, using sound as a material for the creation of realities defined by specific morphologic variations, in this case formed as "metallic spheres" which combined, create the illusion of objects building a space, also "metallic", also a "sphere". The composition leaves a question: is the listener perceiving a sphere, or is the listener the sphere? Apart of the metaphorical perspective suggested by the author there is certainly a remarkable process of work that lead to the conclusion of this album. Apart from his ideas, this album is a wonderful work full of scenarios where we can grasp the field recordings but we cannot touch them as if we weren’t able to reach them. Field Recordings are there but shaded, muffled and blurred by signal processing. All tracks composed and arranged by Miguel Isaza. 2012. Miguel Isaza is a sound artist from Medellin, Colombia and ISZ is a ‘electroacustic’ project where he captures sounds and processes them to generate a ‘new reality’. I have been following this project from some time now and could say that in ‘Spheres’ he managed to accomplish some of his best results in terms of re-creating this sense of reality. Although it’s clear that we are in front of a work that ranges from electroacoustic to concrete, the materiality and spatiality of ‘Spheres’ is somehow believable even though certain sonorities remind us that we are in front of this ‘other’ reality where the electronic and digital means seems to be a structural part of how things are built. A fact that I find relevant here is that Miguel Isaza is very interested in sound design for films and mentions Walter Murch’s work as a subject of particular interest. I mention this because the works he publishes under his ISZ project, and ‘Spheres’ in particular, have a strong cinematographic character where a narrative is built through a series of events that the listener could link on the timeline and that build a very strong emotional content as the piece develops. This sense of narrative is built under a micro-macro approach: motion and change are there expressed though a very effective use of natural and generated reverberations, textures and objects and the formal development of this aspects set up a very effective universal character, where there is a sense of wholeness and a sense of detail. On “Spheres’ when wholeness and detail interact they manage to tell a story where emotions leads to images rather than the other way around: images of resonances, volumes, spatialities and sufraces that listener could perceptually build through a very meaningful experience. For the people interested on the more concrete and electroacoustic ends of field recordings based composition this release is a very rewarding listening that worths the listen with a very significant pay off. Digital manipulation with field recordings is devoted many artists in different ways. Colombian musician Miguel Isaza you can play them with a true perfectionism. In his latest published composition Spheres are the original raw recordings of different spaces and metal objects up in the bottom, almost latent plan, in the thick of sound creations are then derived from the very sophisticated modifications, various frequency filtering and granular synthesis. To less than thirty-eight minutes, occasionally here explores the boundaries between silence and sound events in marginal areas we vnímatelného spectrum, sometimes there is a denser structure distinctive slow-moving surfaces, which contrasts with the short sound bursts. The gradacím does not help the classic dynamic growth, but rather adding to the resonance of long tones, or sometimes sudden vigorous inputs perkusivn?jších elements. Efforts to anchor their imagination rather klišovitých topics for ambient music, what are the universe, dark tunnel beneath the city, a factory hall or maybe deserted mountains, are rapidly failing. The author's concentration on sound process itself, with all its nuances in the frequencies and timing for the listener is very contagious between him and the music is not worth no obstacle in the form of program or recommended manner of interpretation. Despite mostly slower development of the song keeps constant tension, almost any time may appear surprising solutions and always in exclusive colors. The whole record is in addition to the netlabel Audiotalaia free to listen and download. Spheres by Isz (Miguel Isaza) is licensed under a Creative Commons Reconocimiento-NoComercial-CompartirIgual 3.0 Unported License. Creado a partir de la obra en http://www.audiotalaia.net/catalogue/at055-Isz/. Permissions beyond the scope of this license may be available at http://www.audiotalaia.net/.